It’s common knowledge that Governor John Kasich wears his religious beliefs like a suit and inserts them into his speeches and remarks when he can. Democrat challenger Ed FitzGerald rarely talks about his faith because he feels religion is a private matter. Contrary to the ‘no religious test’ words in the US Constitution, the Columbus Dispatch ran an article about the public religiousness of each man. 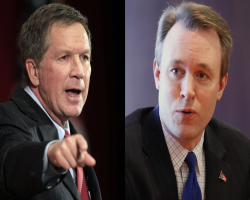 This entry was posted in Columbus, Culture, Politics, Progressive, Religion and tagged 2014 election, abortion, church and state, Columbus Dispatch, Ed FitzGerald, Governor John Kasich, Ohio, religious privilege on August 11, 2014 by Doug. 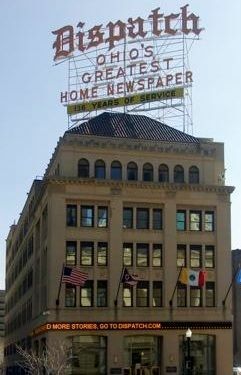 It was announced on Friday (01/04/2012) that The Dispatch Printing Company would be shutting down the alternative paper The Other Paper (TOP) here in Columbus. Those of us who have read TOP over the years know that TOP died when the Dispatch bought it over a year ago. After the purchase, Columbus lost our only real alternative paper in the city. This entry was posted in Columbus and tagged alternative press, Columbus Dispatch, corporate media, Dispatch Printing Company, media consolidation, The Other Paper on January 8, 2013 by Doug. 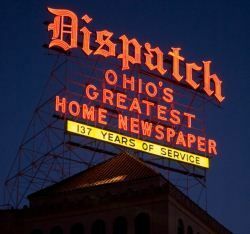 The great Ohio political blog Plunderbund had a great post about some stories appearing in the Columbus Dispatch recently calling for a compromise between the state GOP and labor unions in order to remove Issue 2 from the ballot. Issue 2 is the referendum over Senate Bill 5 that stripped collective bargaining from public employees. It turns out that the Dispatch was closer to the issue than they let on. This entry was posted in Columbus, Media, Politics and tagged collective bargaining, Columbus Dispatch, GOP, Governor John Kasich, labor, Ohio, SB 5, State Issue 2 (2011), Wolfe family on August 11, 2011 by Doug.